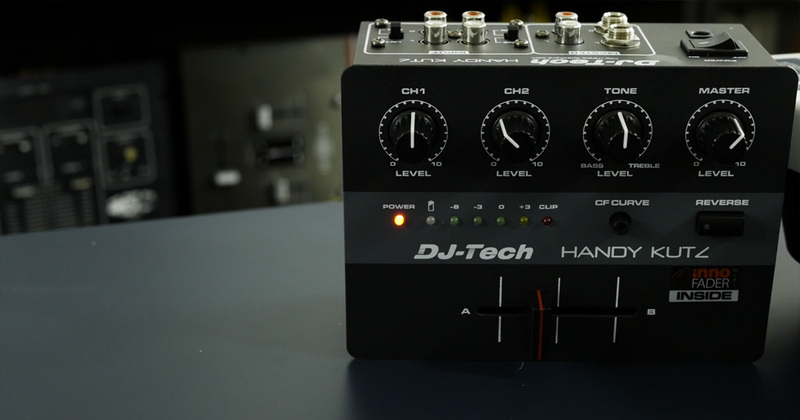 DJ Tech’s Handy Kutz isn’t a traditional DJ mixer; it’s a tool for turntablists with portablists in mind. A two-channel device, the Handy Kutz is equipped with a mini Innofader Pro and internal battery for true on-the-go use. A year ago, Mojaxx reviewed Jico’s replacement needles for Shure’s M44-7 and M44G cartridges. He found that they were good alternatives to the original styli, but they weren’t essential because the originals were still available. However, that changed in May when Shure announced that it was discontinuing its entire range of phono products. Now, with the new-found need for replacements, Mo takes another look at Jico’s styli. Jico’s needles can be purchased at their website, PLANT RECORDS, and Scratch Pro Audio. This week’s Tips and Tricks is the 200th episode of the series (and the last of 2018), so Mojaxx is feeling nostalgic. To celebrate, Mo went through his retro DJ mixer collection, which includes classics from Technics, Vestax, and Gemini. On this week’s episode of DJcityTV’s Tips and Tricks, Mojaxx takes a look at the 1.2.4-C Pulse, an easy to install fader for portable turntables. This week’s news about Algoriddim’s new djay iOS app generated a lot of attention on DJcity. Now, DJcityTV’s Mojaxx has taken a “first look” at the app for a special episode of Tips and Tricks. Watch above. After years of not releasing any DJ equipment, Native Instruments returned to the game in October and unveiled its Traktor Pro 3 software. It also announced two updated controllers: the Traktor Kontrol S2 and S4. On this week’s Tips and Tricks, Mojaxx delivers his long-awaited review of the S4 and looks at Traktor Pro 3.